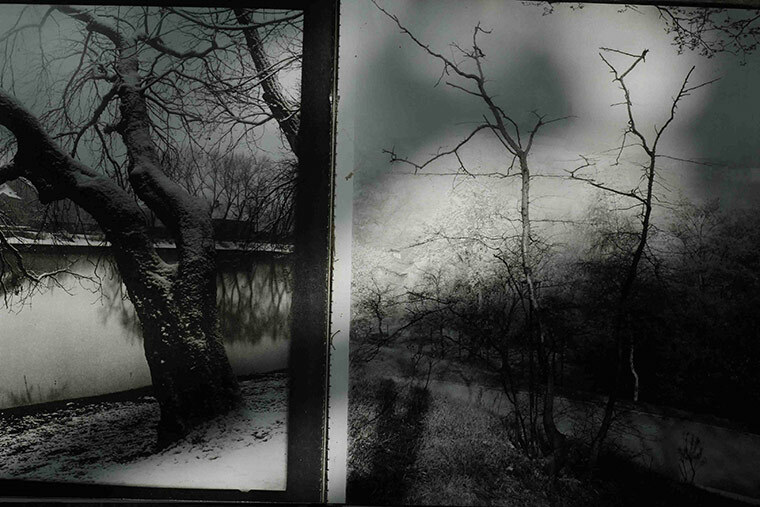 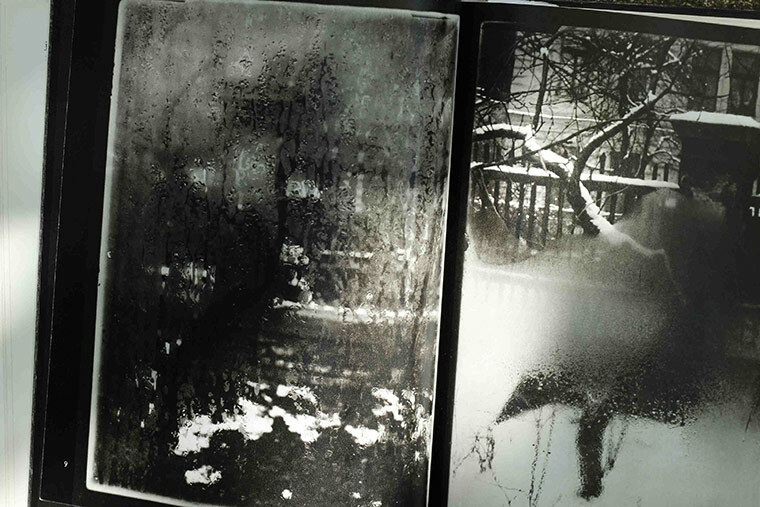 By chance, I found a battered old book of Josef Sudek’s photographs in the NUA library in Norwich. 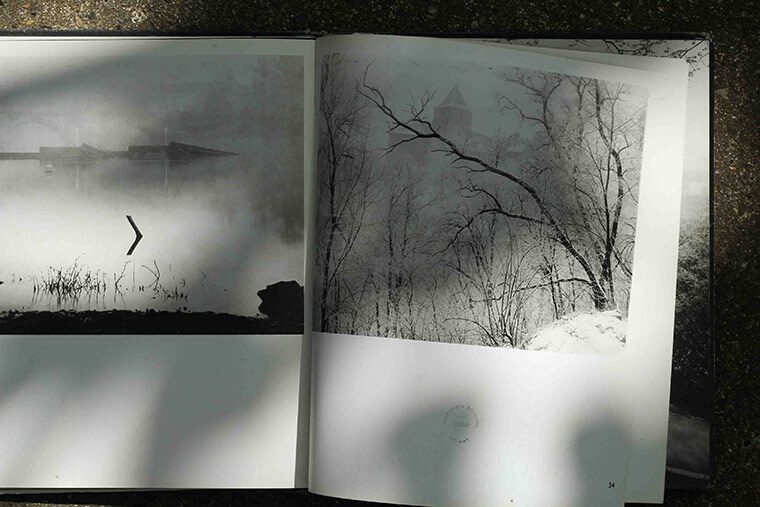 I loved his apparently casual tree imagery, which seemed (not least because of the book’s closeness-to-falling-apart) to tumble from the pages. 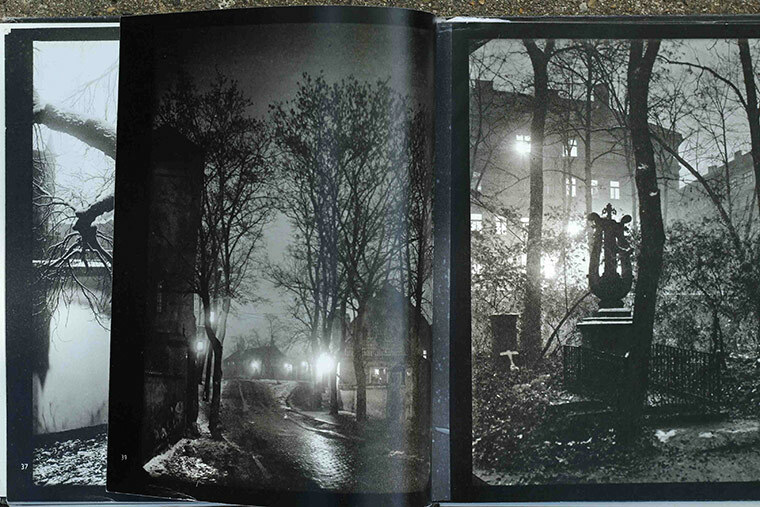 I decided to make my own photographs of some of the double-page spreads as a continuation of my own work on trees – not to appropriate Sudek’s work but to celebrate and learn from it. 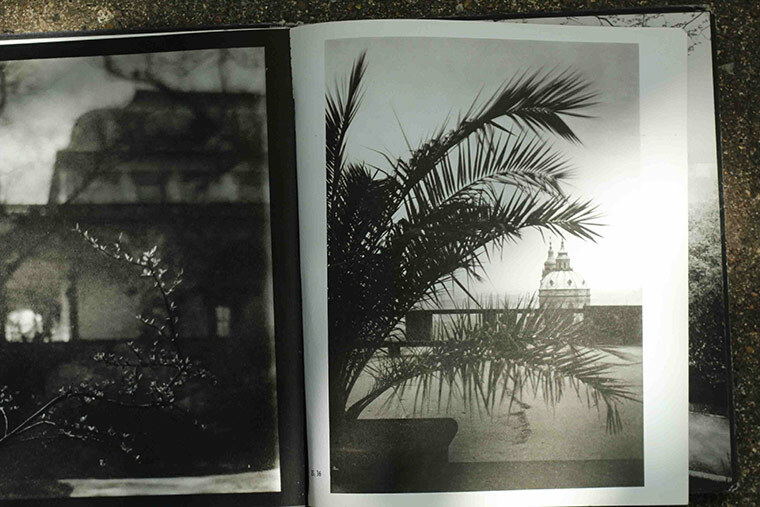 My versions, photographed outdoors in bright sunlight, needed to point to the book itself in all its fragile objectness: the pages that won’t lie flat, and the stitching that barely holds them together. 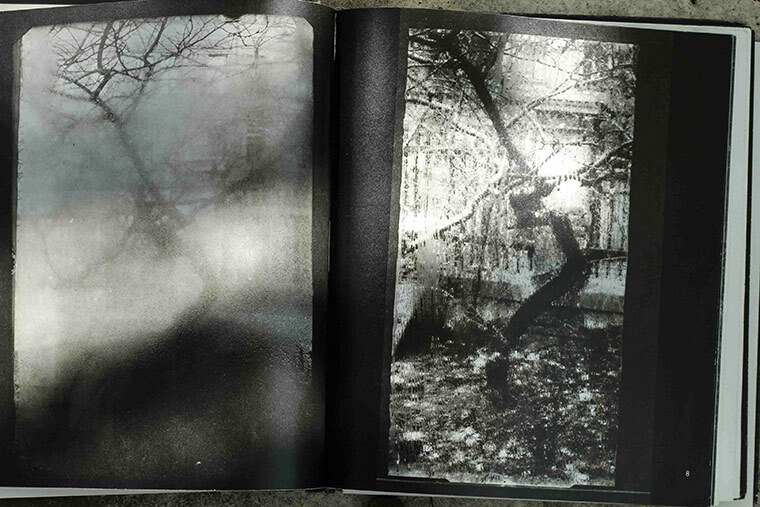 The shadows cast on some pages are from other trees, in the garden which I made the photographs.